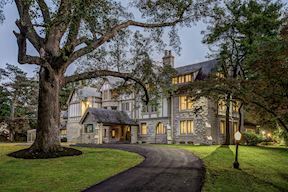 The Corby Mansion, built in 1893 for Francis Newlands, is a landmark in America’s first planned suburb designed by Chevy Chase architect Leon E. Dessez. 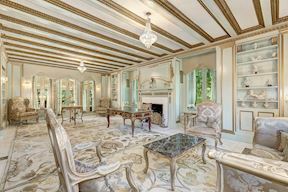 A Congressman and Senator from Nevada, Newlands named the estate Ishpiming, meaning “high ground” in Chippewa. 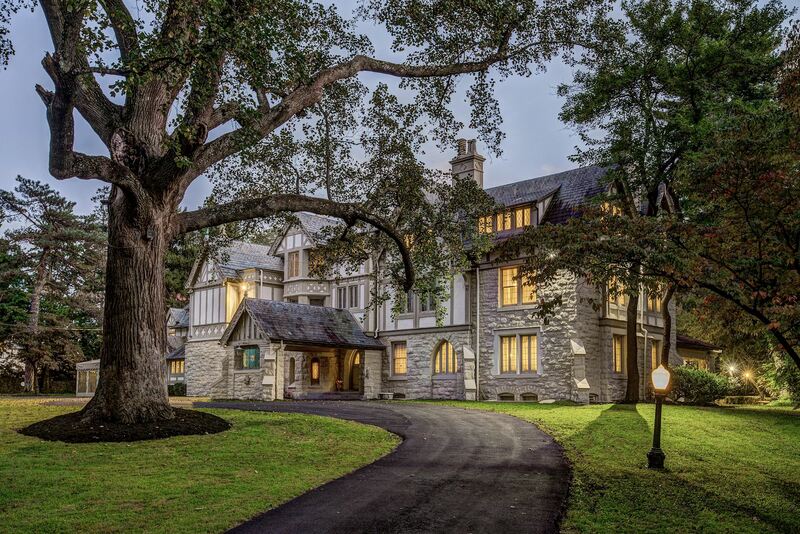 Senator Newlands was the organizer and first president of the Chevy Chase Club as well as a developer with the Chevy Chase Land Company. 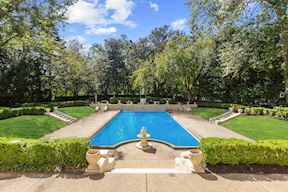 This highly coveted landmark estate prompted official inquiries regarding the possibility of it serving as the Vice President’s residence. 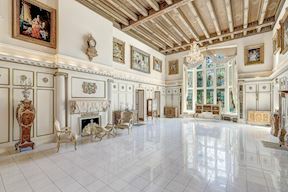 The estate was instead sold to “Mother’s Bread” heir William S. Corby in 1909. 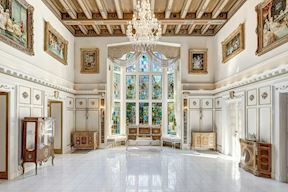 Originally designed in a more subdued monochromatic style, The Corby Mansion was remodeled and expanded by architect Arthur Heaton between 1911 and 1914. 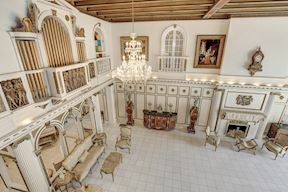 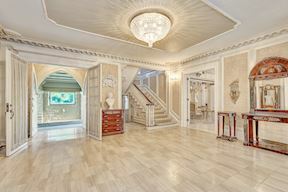 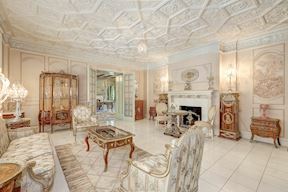 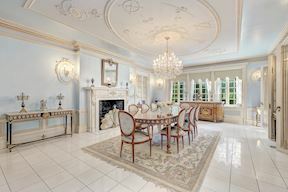 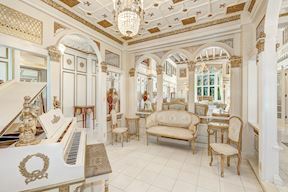 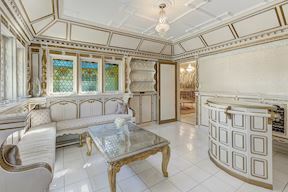 The estate now boasts 22 timeless rooms including a large mahogany library, music room with Aeolian organ pipes, and a grand ballroom used by the home’s prior residents to entertain global power brokers, foreign dignitaries, politicians and presidents. 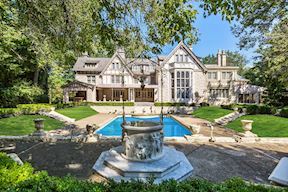 Artfully designed and finished, this landmark Tudor revival estate is prominently situated on two acres of land bordering Washington D.C. 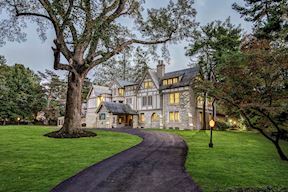 The main home features a side-gable slate roof with two front-gable pavilions projecting from both north and south facades which combine with dormer styles and treatments to give the estate its unmistakable character. 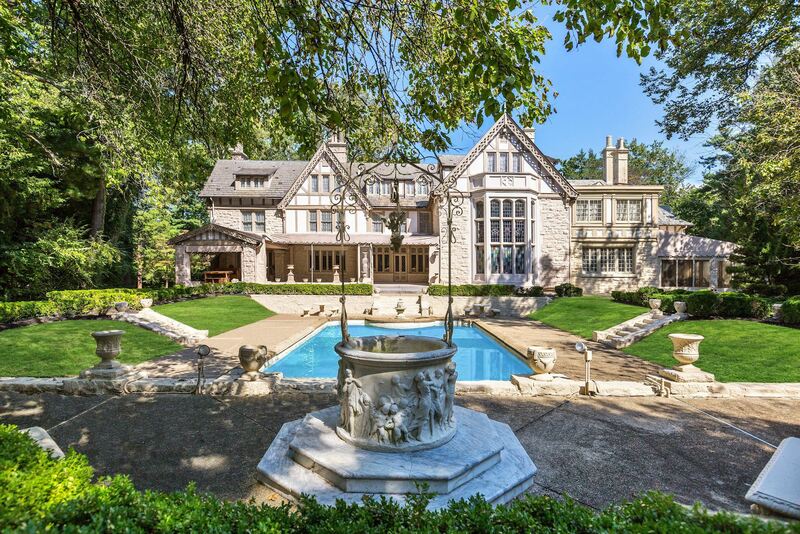 A stone Porte Cochere shelters the home’s grand entrance and compliments its smooth stucco, dark stained wood, and uncoursed stone finish. Grandeur meets American history in the heart of Chevy Chase.